Long Island is located on the Atlantic Ocean in southeastern New York State, east of New York City. Its famous Jones Beach State Park is a popular summer destination for the city folks, and it is home to the historic late-1700s Montauk Lighthouse, the world-famous Brooklyn Botanic Garden, several excellent art museums such as the Brooklyn Museum, fascinating Long Island Aquarium, and large parks such as Camp Hero State Park and Montauk Point State Park. Old Westbury Gardens is a beautiful Charles II-style mansion surrounded by 200 acres of magnificent formal gardens, woodlands, landscaped grounds, ponds, and lakes. The mansion was built in 1906 for John S. Phipps and his family and was designed by renowned English architect George A. Crawley. Westbury House is filled with fine original English antiques and art accumulated during the 50 years of its life as the Phipps’ family's residence. 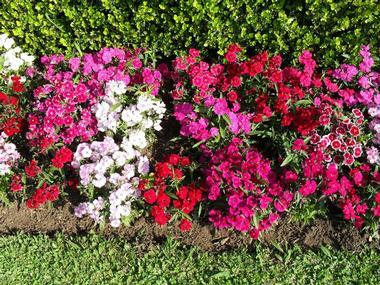 Westbury Gardens is open to visitors, and guides provide informative tours of the mansion and its formal gardens. It is also available for school visits, children's events and programs, family programs, classic car shows, museum exhibits, indoor and outdoor classical music concerts, lectures, pop concerts, and many other types of events. Located in the Upper Brookville village in Oyster Bay, New York, the 400-acre Planting Fields Arboretum State Historic Park is located on the former estate of railroad executive William Robertson Coe and his wife. It includes their 67-room Tudor revival residence Coe Hall as well as gardens, woodland paths, greenhouses, extensive plant collections, and a herbarium with more than 10,000 pressed specimens. 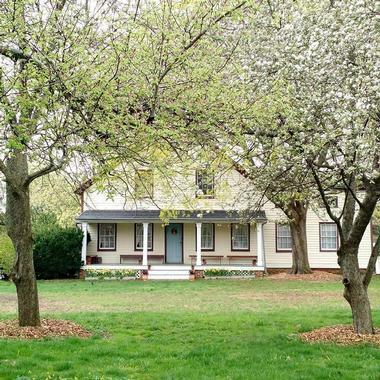 The park is listed on the National Register of Historic Places and is open to the public, so visitors can enjoy strolling through rolling lawns, woodlands, and gardens. The Camellia Greenhouse has a large collection of camellias while the main greenhouse has impressive collections of orchids, hibiscus, succulents, and seasonal flowering plants. Guided tours of Coe Hall offer a glimpse into the lifestyle of the rich in the 1920s, with collections of furnishings, stained glass, paintings, and decorative arts. Best known for one of the largest live coral reef displays in North America, Long Island Aquarium and Exhibition Center has a 120,000-gallon shark tank, sea lion shows, marmosets, African penguins, touch tanks where visitors can actually touch live animals, and over 100 diverse exhibits. There is also a colorful indoor garden, home of the Butterflies, Bugs and Birds Exhibit, with 30 species of North American and tropical butterflies that fly freely through the garden. It is the only bug display in New York. The bird aviary is home to conures, lovebirds, ringnecks, and many other bird species. One of the most exciting adventures in the aquarium is JAWsome Aquatic Adventures with the Shark Dive, which allows visitors to get into a cage and sink down to the Lost City of Atlantis Shark Exhibit. Visitors can also have a go at feeding the charming penguins at the Penguin Encounter. MoMA PS1 is one of the largest and oldest nonprofit contemporary art centers in the US. Founded in 1971, the museum serves as an exhibition space and does not have a permanent collection. 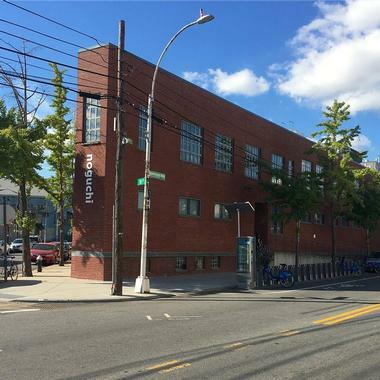 Located in Long Island City, MoMA PS1 is also one of the biggest American art institutions focused completely on contemporary art and it supports and encourages most experimental and thought-provoking contemporary art of today. In addition to art exhibitions, the museum organizes the Warm Up summer music series, the Sunday Sessions performance series, and the Young Architects Program, organized together with the Museum of Modern Art. 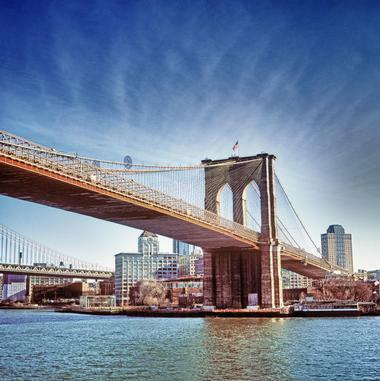 With its massive granite towers and long steel cables, the Brooklyn Bridge has been a New York City icon since 1883, stretching over the East River and connecting Manhattan and Brooklyn. The main span of the bridge is 1,595.5 feet long, and when it was completed, it was the first ever steel-wire suspension bridge in the world. Initially a bridge for pedestrians and non-motorized vehicles, today it offers safe passage to trains, bikes, and cars, with millions of commuters and tourists having crossed. It dominates the New York landscape and is one of the most recognizable features of the city skyline. Crossing the bridge on foot through the elevated walkway is one of the most memorable visitors’ experiences. 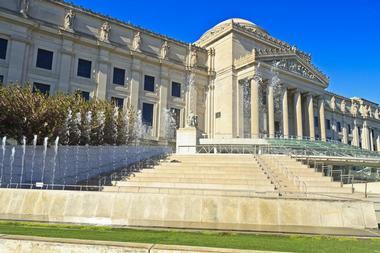 The Brooklyn Museum is the third largest art museum in New York City, with an impressive collection of over 1.5 million artworks. The museum is located near the Brooklyn neighborhoods of Crown Heights, Flatbush, and Prospect Heights, and covers 560,000 square feet of indoor and outdoor gallery space. Founded in 1895 and located in a beautiful beaux arts building designed by McKim, Mead and White, the museum was planned originally to be the biggest art museum in the world. The most significant museum collections are its Egyptian antiquities, spanning period of more than 3,000 years, as well as antiques from Europe, Africa Oceania, and Japan. There is a well-represented American art collection starting with the colonial period. Some of the most notable artists whose works are part of the collection are Mark Rothko, Norman Rockwell, Edward Hopper, Winslow Homer, Georgia O'Keeffe, and Max Weber. 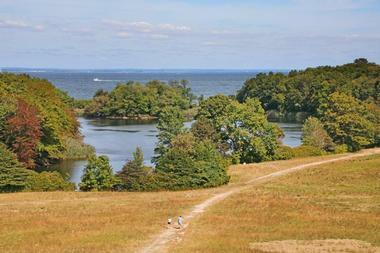 The Long Island Game Farm is a wildlife park and children’s zoo located in Manorville. 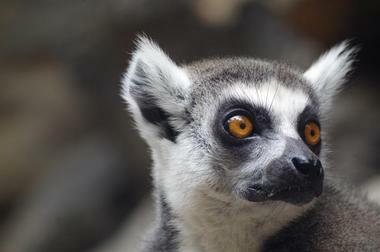 The park has been in operation for 47 years and is Long Island’s largest children’s zoo and wildlife park. The zoo gives families the opportunity to learn about animals in their natural environment. The zoo features several encounter areas where visitors can interact with and feed animals including Bambiland and a nursery. If visitors would like to feed the animals, they must purchase food from the zoo as they are not permitted to bring their own food. However, the park features a snack bar serving a selection of food items and light fare. Additionally, the souvenir stand sells Long Island Game Farm merchandise and apparel. Once an outer barrier island, Coney Island was eventually connected to Long Island by a landfill to form a peninsula on the Lower Bay in Brooklyn. This residential neighborhood of about 60,000 people morphs every summer into one of the most popular entertainment destinations in New York, bringing thousands of locals and visitors to enjoy the long sandy beach, Luna Park with its famous Cyclone roller coaster, and the Wonder Wheel. There is also the Circus Sideshow, the Mermaid Parade every June, a popular 4th July hot dog eating contest at Nathan’s, numerous street performers, musicians, food stalls, and much more. Coney Island is also the location of the MCU Park stadium, home to the Brooklyn Cyclones minor league baseball team and the New York Cosmos soccer club. 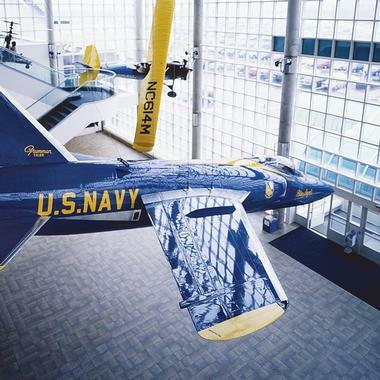 Long Island’s Central Plains is the perfect place for the Cradle of Aviation Museum. Located in Garden City, near the Mitchel Air Force Base and Roosevelt Field, it commemorates Long Island's role in the history of aviation. With so many historic flights in the area by the mid-1920s, the area was nicknamed the "Cradle of Aviation.” The museum has more than 60 aircraft and models of airplanes from different time periods on display, such as Charles Lindbergh's Curtiss Jenny, the A-10 Thunderbolt II, the Grumman F-14 Tomcat, and even an actual never-used Apollo Lunar Module, LM-13, which was supposed to land on the moon with the cancelled Apollo 18 mission. 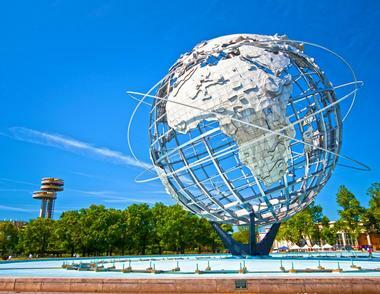 Flushing Meadows Corona Park, the largest park in Queens and the fourth largest in New York City, is popular for the range of facilities on offer for a number of sports, including baseball, soccer, cricket, tennis, and so much more. There is also a zoo as well as six playgrounds for the kids and the lovely Flushing Bay Promenade for a leisurely stroll. The park became famous in 1939, when it hosted New York World’s Fair, and its popularity further blossomed when it became the site of another World Fair in 1964. The park is a popular venue for weekend barbecues, fishing in Meadow Lake, skating in the winter, or catching a game of tennis at the USTA Billie Jean King National Tennis Center. 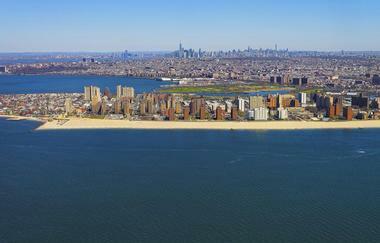 Jones Beach State Park is the place where New Yorkers spend their hot summer weekends. With more than 6 miles of fine sand, families can find a nice spot to spend the day with the kids. There is always something to do in this fun park, which was designed by Robert Moses in the 1920s on the ocean liner theme. There is swimming and enjoying the sun, people watching, walking along the famous boardwalk, fishing, sampling the goodies in one of many diverse food concessions, and playing a game of mini-golf, shuffleboard, or basketball. The Jones Beach Theater offers concerts and plays, while the Jones Beach Nature Center teaches about the marine environment and endangered species that live nearby. Every summer, there are also special events, such as the Bethpage Air Show, volleyball and softball tournaments, and much more. 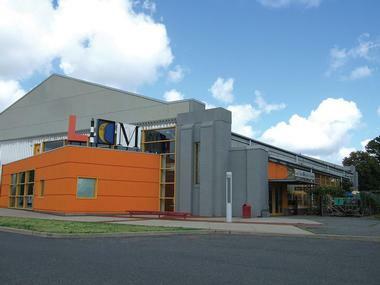 The Long Island Children’s Museum is located in the former airplane hangar in Nassau Community College in Long Island’s Garden City. This popular kids’ venue has 14 interactive hands-on exhibits, a live theater, fun art spaces, and many planned daily activities that can keep kids of all ages busy and happy for hours. The two-story ClimbIt© structure has ramps going up and down in a spiral, using up some of that abundant energy. The kids will also love creating giant bubbles in the Bubble Gallery, making "rain" in the Our Backyard gallery, or playing all kinds of musical instruments. There is also a small theater with regular shows. The museum is one of the most popular venues for kids’ birthday parties in the city. The Long Island Ducks is a minor league independent baseball team in Long Island and a member of the Atlantic League of Professional Baseball. The Ducks have their permanent home at the Bethpage Ballpark, a 6,000-seat baseball stadium located in Central Islip, New York. In addition to baseball games, the Bethpage Ballpark is the site of many kids’ attractions, such as an inflatable fast pitch tent and an inflatable jump house. The "Ducks" got their name in reference to Long Island's long time duck-farming heritage. The Ducks set the single-season attendance record for the independent league baseball during the 2001 season, with 443,142 fans. 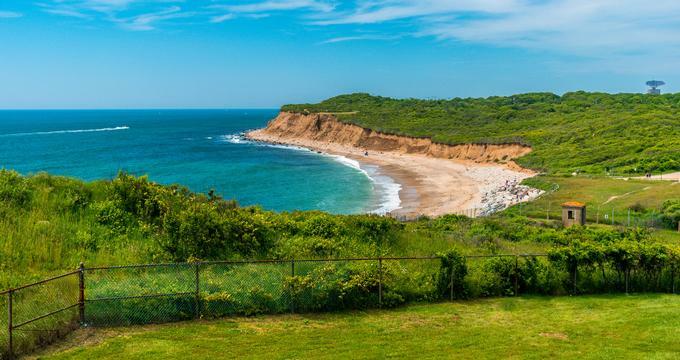 Montauk is a lovely Long Island spot famous for its sandy beaches and clear blue sea. Located on Long Island’s eastern tip, this popular summer destination offers wonderful views, great restaurants, fun whale watching trips, and a range of water sports. One of the most exciting ways to see Montauk is by parasailing – getting into a specially made harness and flying 1,000 feet high with views of Long Island Sound, Lake Montauk, and the Atlantic Ocean. The adrenaline rush and spectacular and unique perspective make this an unmatched experience. You will fly above the ocean and will not even get wet. The boat that pulls the parasail has an experienced captain and crew, who are fully trained in the sport and will ensure that you have a safe and fun experience. Even kids 4 years old can enjoy it on a tandem flight. 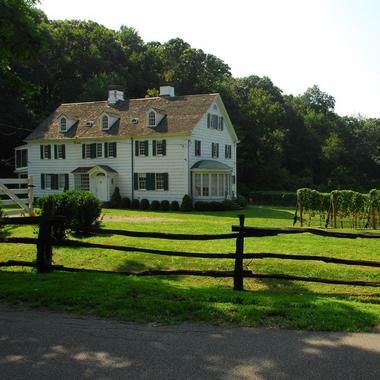 Located on New York City's largest remaining undisturbed farmland, Queens County Farm Museum has a history that dates to 1697. The 47-acre farm includes original farm buildings, a greenhouse, farm vehicles and tools, livestock, planting fields, an herb garden, and an orchard. Today still a working farm and a museum, Queens County Farm offers visitors a pleasant and tranquil respite from the hectic city life. It is especially popular during special events, such as wreath making workshops, auto and motorcycle shows, and the Queens County Fair, which is held every year. Kids enjoy visiting the farm animals and having hayrides. Montauk Point State Park is located in the hamlet of Montauk, and its 862 acres include most of the eastern tip of Long Island. When the sea is calm, it is possible to see the converging tides from the Block Island Sound and the Atlantic Ocean. The park is covered in dense stands of trees, scrubland, and wetland ponds, which provide home to many species of birds and mammals. As you go down from the steep bluffs, the landscape changes to sandy and rocky beach. The park is world famous as the site for whale watching and launching deep sea fishing trips, since Long Island thrusts into the sea for more than 100 miles. The park is also home to the historic 1792 Montauk Light, one of the oldest in the country and the best place from which to see the entire park. Originally opened in 1896 in Castle Garden in Manhattan’s Battery Park, New York Aquarium was relocated to Coney Island, Brooklyn, in 1957. It is now operated by the Wildlife Conservation Society and is a part of an integrated group of four zoos and an aquarium, the Bronx Zoo being one of them. 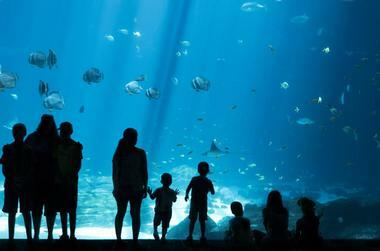 It is the oldest American continuously working aquariums and occupies 14 acres and offers home to 266 species. Its main mission is to promote public awareness of the problems facing the ocean and its inhabitants through special exhibits, research, and public events. The aquarium operates the New York Seascape program, a local conservation effort to restore marine populations and protect local waters. The Noguchi Museum was designed and built by Japanese-American artist Isamu Noguchi. The 24,000-square-foot two-story museum and its attached sculpture garden are located in Long Island City, a block from the Socrates Sculpture Park. It was renovated in 2004 and is now open all year round. In 1974, when he decided to build a museum, Noguchi bought a gas station and a photogravure plant located just across the street from his studio in New York, where he had lived and worked since 1961. The museum opened to the public in 1985 with the purpose to showcase and preserve Noguchi's sculptures, stage designs, architectural models, drawings, and furniture designs. It currently has 12 galleries and a gift shop. Harmony Vineyards is a sustainability-focused Long Island vineyard, striving to create world-class wines achieving harmony between humanity and nature. 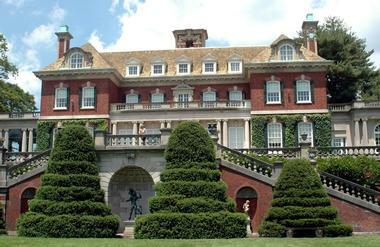 The vineyard's tasting room, which is located just three minutes via tax from the St. James LIRR Station, is housed within a National Register of Historic Places-listed waterfront home originally constructed in 1690 and renovated in 1904 by renowned New York City architect Archibald M. Brown. Visitors can taste the company's Bordeaux-style red wine blends and Chablis-style Chardonnays throughout the week, with exclusive farm-to-table waterfront Sunday brunches available with advance reservations. 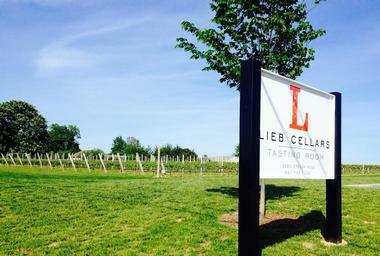 A curated selection of Long Island-brewed beers are also available. Enjoying the timeless beauty of Montauk from the water aboard a sailing ship is a whole new way to appreciate its beauty. 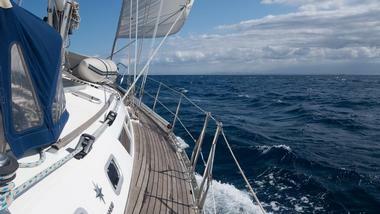 Sailing Montauk offers a range of sailing trips on their 40-foot USCG-certified catamaran Mon Tiki. You can choose a 2-hour Sunset Cruise, a sail and swim trip, or the Discover Montauk experience, or you can book the ship for a private cruise for any special occasion. The Mon Tiki has 500 square feet of space on its open deck, coolers full of ice, and a Bluetooth stereo you can use to play your playlists. The Mon Tiki sails from the Montauk Yacht Club. Located about 25 miles from Manhattan on the North Shore of Long Island, Sagamore Hill was the home of Theodore Roosevelt, 26th President of the United States, from 1885 until 1919. He called it his Summer White House and it was luxurious for its time, with 23 rooms and a bathroom with a then-rare porcelain tub. During the years he was the president, Roosevelt hosted many foreign dignitaries at Sagamore Hill. The house was the venue of the crucial peace talks that negotiated the end to the Russo-Japanese War. Roosevelt died at Sagamore Hill in 1919 and was buried at Youngs Memorial Cemetery nearby. 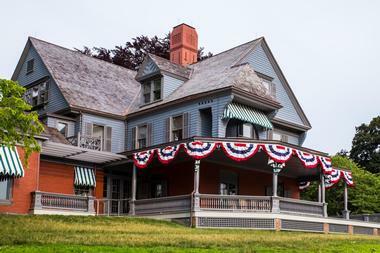 Today, Sagamore Hill is a National Historic Site and includes the Theodore Roosevelt Museum. 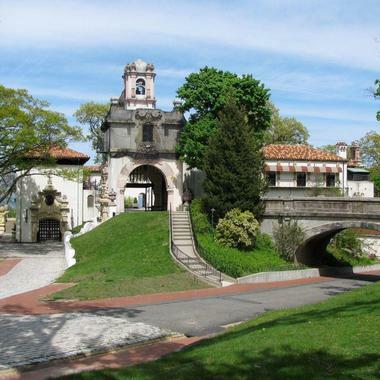 Located in Heckscher Park in Huntington, New York, the Heckscher Museum of Art features a collection that spans more than 500 years, with special focus on European and American art from the 19th to 21st centuries. 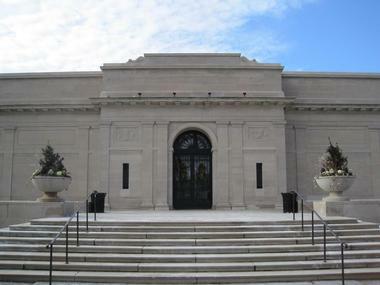 The museum was established in 1920 by German-American industrialist August Heckscher with his gift of 185 artworks. His collection included Old Masters such as Lucas Cranach the Elder, Henry Raeburn, and François Girardon as well as renowned American painters such as Ralph Albert Blakelock, Thomas Moran, and George Inness. The museum collection grew to over 2,500 pieces of art. The museum is also a venue for a range of public programs for families, adults, and children, concerts such as the First Friday series, festivals, and workshops. White Post Farms has been a working family farm in Huntington, New York, since 1886. Starting with vegetables for the local market, White Post Farms evolved with the times and is today not only a working farm but also a popular agro-tourism destination for city dwellers who love to visit farm animals and pick up some fresh produce or a home-made pie. The farm has two huge bird aviaries with colorful parakeets, budgies, cockatiels, lorikeets, and love birds. 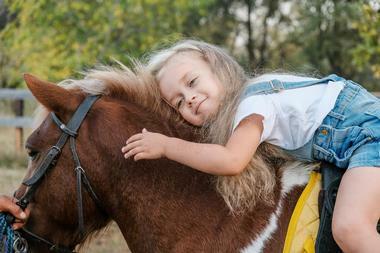 There are also pony rides, bouncers, train rides, playgrounds, and much more. Kids can feed a baby giraffe, see antelopes and zebras up close, feed the sheep and goats, play in a giant sand box, and much more. The farm is a very popular place for kids’ birthday parties. Camp Hero State Park is a 754-acre park that occupies a part of the former Montauk Air Force Station located on Montauk Point, New York. The park is one of the few fairly undisturbed green spaces in the city with diverse ecosystems, such as dense maritime forests, large beachfront areas on the Atlantic coast, and freshwater wetlands. The park offers home to rich populations of wildlife and is a popular hiking, horseback riding, and biking destination with miles of well-maintained trails. 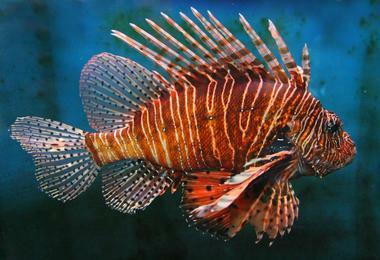 It is also one of the best surf fishing areas in the world. The view from any spot in the park is spectacular, especially from the bluffs rising above the beach. The former air base is now a National Historic Site. 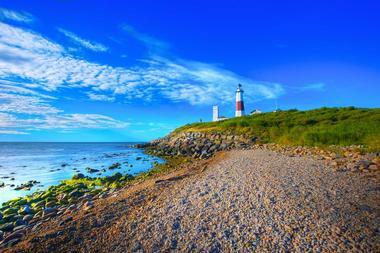 The Montauk Point Light is located next to Montauk Point State Park, in the Montauk hamlet in the town of East Hampton in New York. Built of sandstone in 1796, the lighthouse was the first public work of the young United States and the first lighthouse in the State of New York. Today, it is the one of the oldest still active lighthouse in the country. 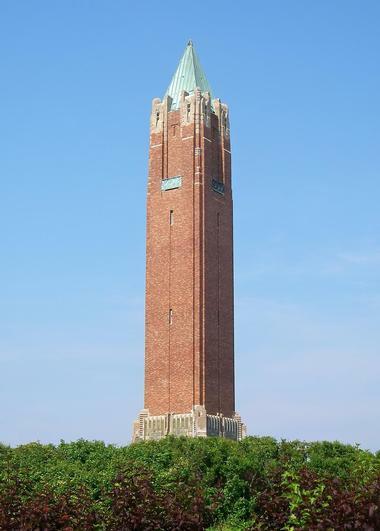 The lighthouse tower is 110 feet high and currently uses a 290,000-candlepower light, which flashes every 5 seconds and can be easily seen from a distance of 17 nautical miles. The lighthouse is listed on the National Register of Historic Places and is designated as a National Historic Landmark.